Keep data online and available for daily usage. Data is the critical information that businesses need to survive – making reliable data backup the ultimate objective for many IT professionals. StorTrends offers secure, reliable and simple backup solutions at a reasonable and budget-friendly price point. StorTrends advanced snapshots give users the ability to instantly recover data and set up to 7 snapshots levels with up to 5 minute granularity. StorTrends automated replication includes data compression, de-duplication, AES-128 encryption and a patented WAN Optimization engine. Users can also replicate between different models to construct the most cost-effective backup solution. StorTrends JBOD appliances offer seamless scalability with varying performance options to meet the needs of users’ growing capacity and performance requirements. Databases can pose many challenges and obstacles to businesses and their environments. These challenges typically stem from Performance, Availability and Redundancy Requirements. A key part of any database deployment is its performance and with the cost of SSDs declining, they are becoming a much more viable option to businesses. 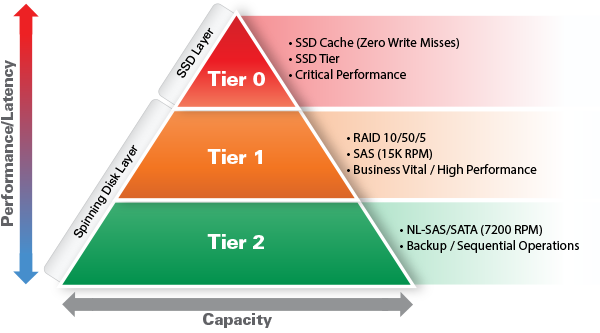 However, many storage vendors simply provide SSD hardware to handle performance demands. StorTrends offers SSDs as both an SSD cache and tier layer with features such as Automatically Tuned Volumes (ATV) that intelligently allocates high performance to users’ most frequently accessed or critical data. For many businesses, downtime of a database is unacceptable. In many enterprises, even a maintenance window can be difficult to achieve. StorTrends offers dual controller models that support both Active/Active and Active/Passive configurations – providing availability of 99.999%. StorTrends is equipped with a robust set of replication tools that allow replication of data to users’ offsite locations for disaster recovery or archival. Additionally, StorTrends is able to replicate between different products within the StorTrends family for a customizable solution. StorTrends replication technologies provide adaptive compression to reduce compression overhead, data de-duplication and a proprietary WAN Optimization tool to overcome latencies that are inherent with TCP/IP over a WAN. Automated Data Tiering has proven to be an extremely effective feature for businesses seeking to capitalize on their hardware capabilities. 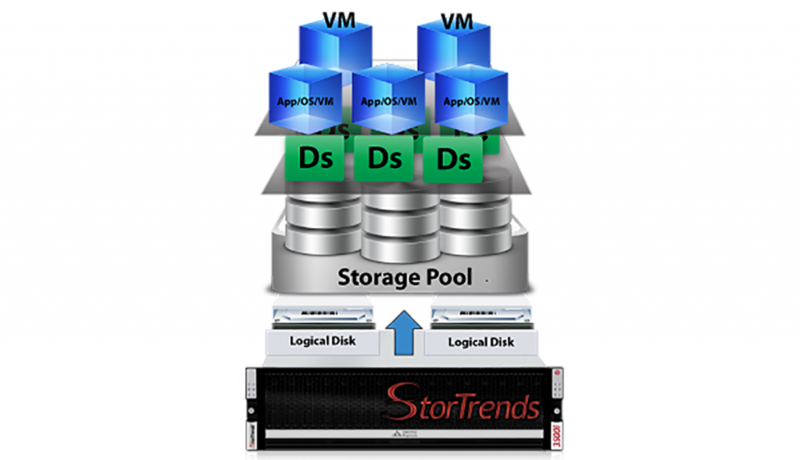 StorTrends redefines automated data tiering by migrating data on a tier-, volume- and disk-based level. StorTrends performs automated data tiering through its Information Lifecycle Management (ILM) software. ILM monitors users’ data patterns and migrates data between different performance tiers to achieve the optimal level of performance for specific sets of data. StorTrends tiering also works at the volume level by automatically tuning users’ volumes to receive the required amount of performance. Users can choose to have entire volumes residing on specific performance tiers, or choose to have their individual volumes striped among different performance tiers to maximize capacity of high-performance drives. In addition to automation at the tier and volume level, StorTrends brings automation to the disk-based level. On a typical spinning disk drive, outside tracks of the disk platter will intrinsically have larger surface area and angular speed than the platter’s inner tracks. To take advantage of this variance, StorTrends monitors data at the disk-based level and promotes the disk’s most frequently accessed data to the outside (hot) tracks while demoting infrequently accessed data to the inner (cold) tracks. With increasing crime and everyday lawsuits, companies and organizations are being forced to increase video surveillance activities. This means increasing camera counts, recording at higher resolutions and growing video retention. This means the video surveillance solution needs to be a living environment adaptable to the changes of the business. From small businesses to convention centers to casinos running thousands of cameras, the StorTrends 3500i offers the most efficient, powerful and cost effective solution in the market today for video surveillance storage. The StorTrends 3500i combines SSD drives and NL-SAS spinning drives within the primary appliance to provide a combination of performance and capacity to meet the video storage requirements for storing, playing back and replicating the video. The StorTrends 3500i expands by adding StorTrends 3202j JBODs downstream via live capacity expansion. Growing vertically allows for cost effective deep growth for storage retention. Utilizing Auto Data Tiering, the StorTrends 3500i can promote any stored videos to the SSD drive layer allowing for fast video playback. This allows for the highest performance while growing the overall capacity at the most reasonably priced solution in the market. Optimized to support VMware ESXi, Microsoft Hyper-V, Citrix Xen and Red Hat RHEV, the StorTrends 3500i Hybrid Storage Array delivers solid state drive (SSD) caching, tiering and automatically tuned volumes capabilities within the same array to achieve dramatic enterprise performance and reliability at an extremely affordable price point. Reduce IT Cost and Management Overhead with a Virtualized Server & Storage Environment. 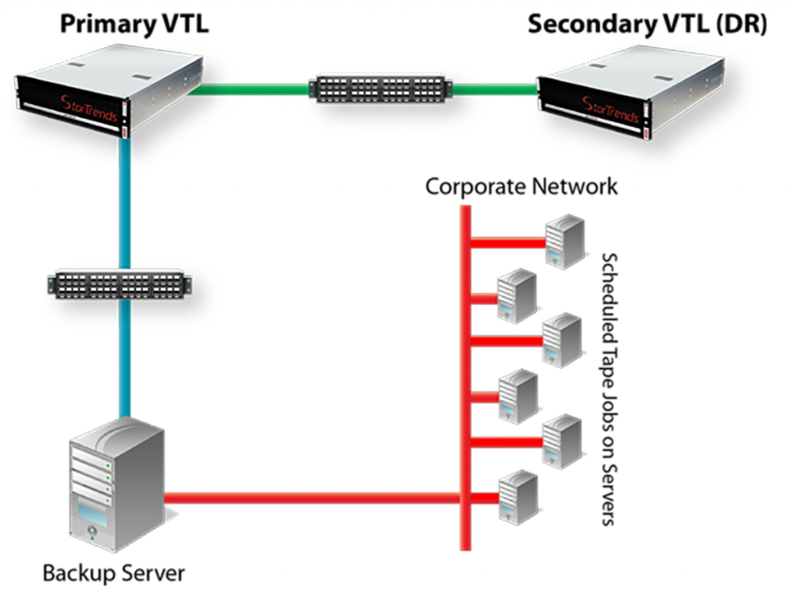 Load Balance Databases between Virtualized Servers and Centralized Storage. Increase Data Availability & Uptime while also Protecting the Data from Disasters. StorTrends offers a Plug-In for VMware vSphere allowing users to manage the StorTrends appliances directly from within the VMware vSphere management GUI. 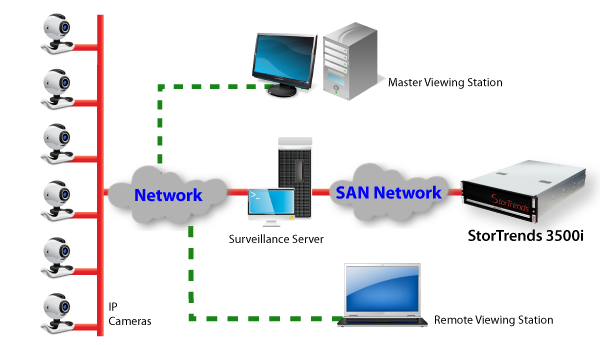 This allows for ease of management for both the servers and the storage from one location. StorTrends also supports the VMware VAAI primitives allowing for enhanced functionality and reduced management time of the storage appliance. The VAAI primitives are essentially “shortcuts” to performing advanced management task within the StorTrends appliance allowing for extreme ease of management for IT Admins. Whether it is virtualizing 2 or 10,000 physical servers, StorTrends appliances have the ability to provide the storage performance and ease of management network administrators require to sustain a stable and efficient IT Environment.